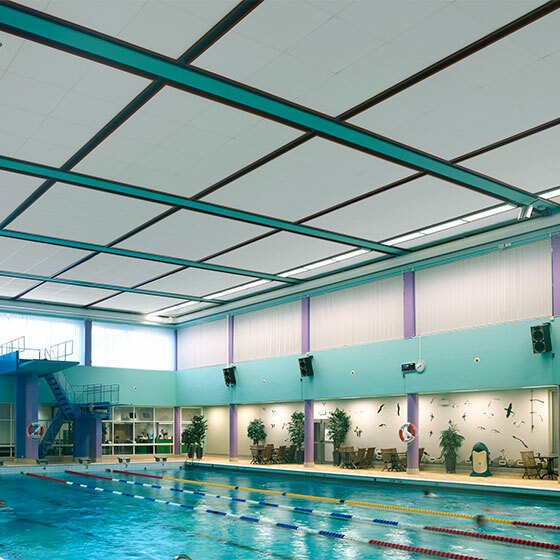 PARAFON Hygiene is a highly durable acoustic tile developed for suspended ceilings in rooms with stringent requirements for good hygiene and cleaning. The surface is a white reinforced glass-fibre felt that is particularly scratch resistant and tolerates high and low-pressure washing and cleaning with disinfectants. 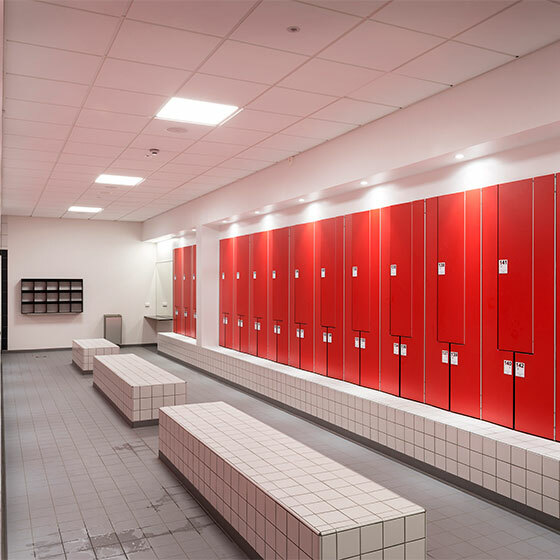 PARAFON Hygiene is installed in a grid system, and installation using the Prelude corrosion-proof grid system is recommended in humid and wet environments. The reinforced and durable surface makes the product suitable even in areas that are particularly subject to wear such as e.g. school corridors and changing rooms. 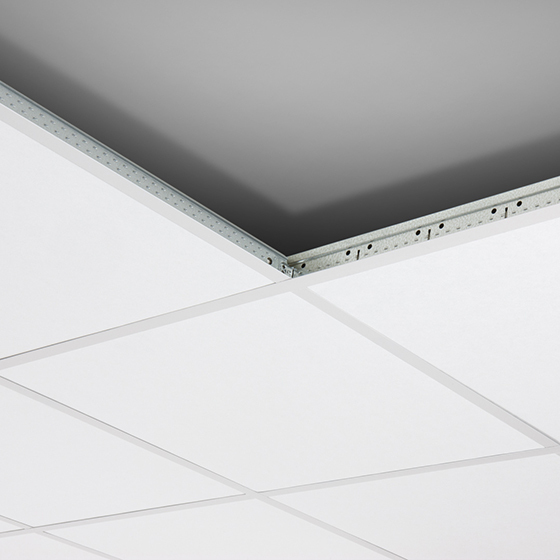 PARAFON Hygiene can be used in areas with clean room classification ISO 4 in accordance with ISO 14644-1: 1999 and in such instances should be installed together with Armstrong’s ISO 4-classified grid system CLEAN ROOM with recessed silicone seals in the profiles. 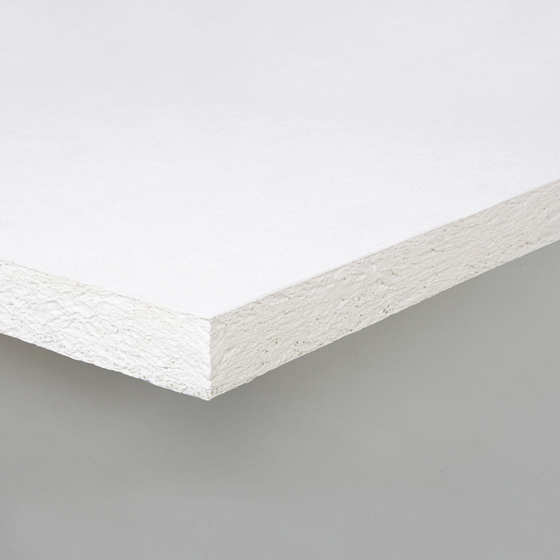 Parafon Hygiene has a core of non-combustible PAROC mineral wool that remains dimensionally stable even at very high temperatures in the event of a fire. Particulate Cleanliness Class ISO 4 (ISO 14644-1:1999). Microbiological class M 10 (NF S 90-351:2013). White pre painted scratch resistent glass fiber surface layer. Backside: thin glass fiber tissue. Installation with Armstrong Prelude suspension system. In wet or high humidity environment must Prelude TLX corrosion resistant suspension system be used. Using a soft brush, by vacuum cleaning or by wiping with a damp cloth or sponge. Can be washed with high or low pressure 3-4 times a year (see instructions) and with diluted disinfectants (like chlorine, ammonium or hydroperoxide solutions). Scratch resistant.